St. Tropez Sunny Isles Beach 3-bed/2-bath walking distance to the beach. 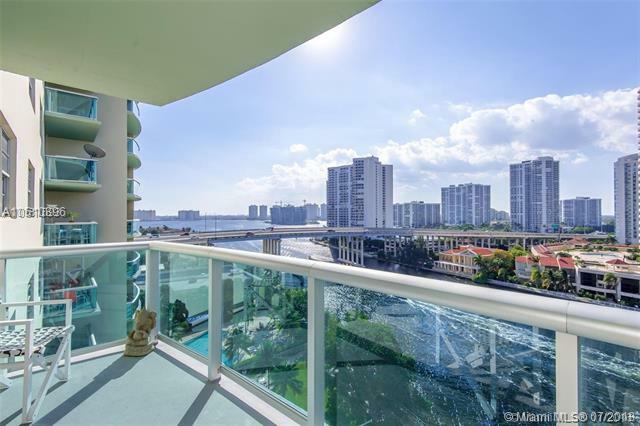 With over 1,461 sq ft of spacious living, this bright and sunny 16th floor 3-bed/2-bath canal front unit features: luxurious marble floors, modern kitchen w/SS appliances, drapes and shades, walk-in closet, and a beautiful master bath with Duravit soaking tub & separate frameless glass shower. Wraparound balcony to enjoy sunsets. 1 Assigned Space and Valet Parking. Amenities include. 24-hour valet, waterfront oversized pool, elegant lobby, 5-star concierge, fitness programs, much more. Easy to Show. Dont miss it!